Another issue just appeared when I tried to travel to The Harborage. When you mouse over, you get the normal mouse over tooltip but clicking on the icon does not bring up the normal travel option, instead you just end up placing a map marker when you try to select the travel option. I disabled all other addons except mini-map and tried it on all 3 factions, and was unable to travel to any Harborage while mini-map was enabled. Not sure when this appeared as it has been some time since I tried to travel to a Harborage. Just a little reminder in case : you can only recall to the Arborage of your allegiance. You see the others but you are never able to enter them or travel to them. Just finished Gold Caldwell and that was also a good reminder for me. okay... I did not do this for a long time. I check that. Since the Harvest map update, the Harvest Map pins on the Mini-map have got a lot larger (about x3), but only when I am in a dungeon. 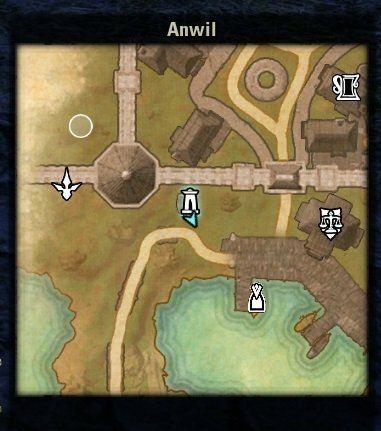 They are so large now as to completely hide any quest pin that's in the same location. They still display same size on World Map as before the Harvest Map update. I have tried reducing pin size, but this makes pin size on World map too small for me. Also the World map no longer always centres on player. If these issues aren't caused by your add-on could you please suggest what could be doing this? Since this is after a HarvestMap update, it is probably caused by HarvestMap. I will have a look at it, once I'm back from work. 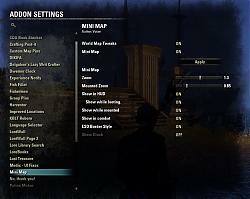 Not really a big issue, but worth mentioning maybe... for some reason the menu for the map does not appear under the Addons section of the game menu, but in a separate "add-on" menu by itself. Not a bug If you feel dissatisfied with the second main menu entry for "Addons", take a look at Harven's AS to LAM adapter. Yes, its a Votan feature all his addons can be found together that way. Have you tried this addon: http://www.esoui.com/downloads/info6...eEnhanced.html ? Been having some errors with your addon, votan, hope you can help me fix it. 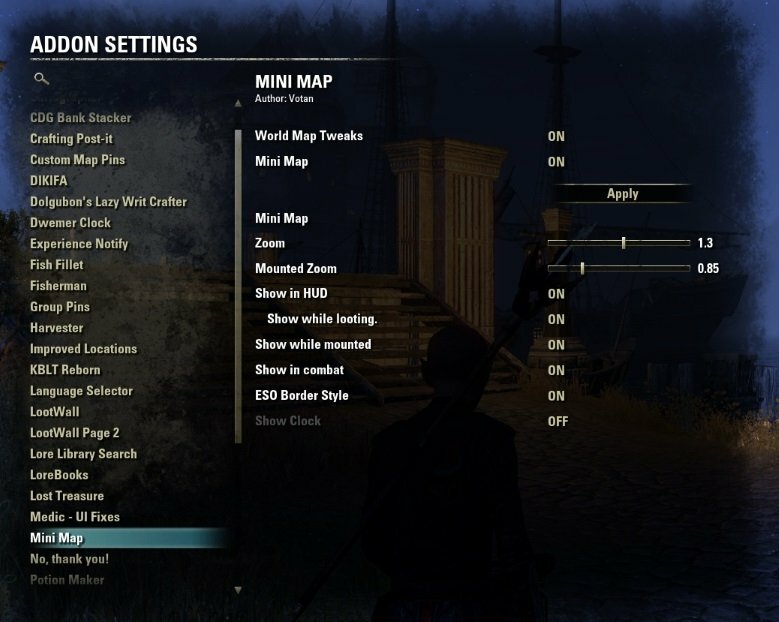 first thing is the map freezes when i change zones, enter a dungeon/delve, it will have the prior map frozen on the minimap as well as the full size map. next thing is that ive narrowed it down to being your addon, im getting DC'ed when i /rl everytime. this is somewhat recent as of a couple days. no ui errors but is there a way to run a debug for your addon? id like to get this working, yours is a lot better than fyrakin's imo! Yes. There is a debug switch in the settings. Right at the bottom. I'm getting the following error when I view my guild bank! Why would Votan's have issues with my bank? It's the common used lib. "Inventory Insight" raising the error. Last edited by votan : 04/03/18 at 02:26 PM. Last edited by SteveCampsOut : 04/03/18 at 02:00 PM. I changed some settings and wanted to go back to the default settings. Toggle Show Map (num 7), Zoom Max Out (num 8) and Zoom Max In (num 9). I report the key-bindings because in the UI error window one of the messages is: EsoUI/Libraries/ZO_KeybindButton/ZO_KeybindButton.lua:148: in function. Thanks for the quick response, as Dr4Wm4N said, good work, you rock.